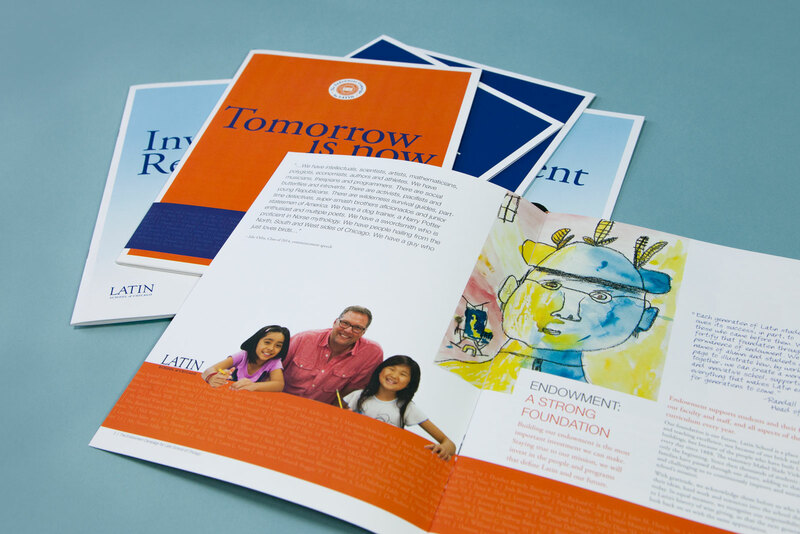 Latin’s endowment campaign brings to life its vision for the future and ensures a strong foundation for generations to come. 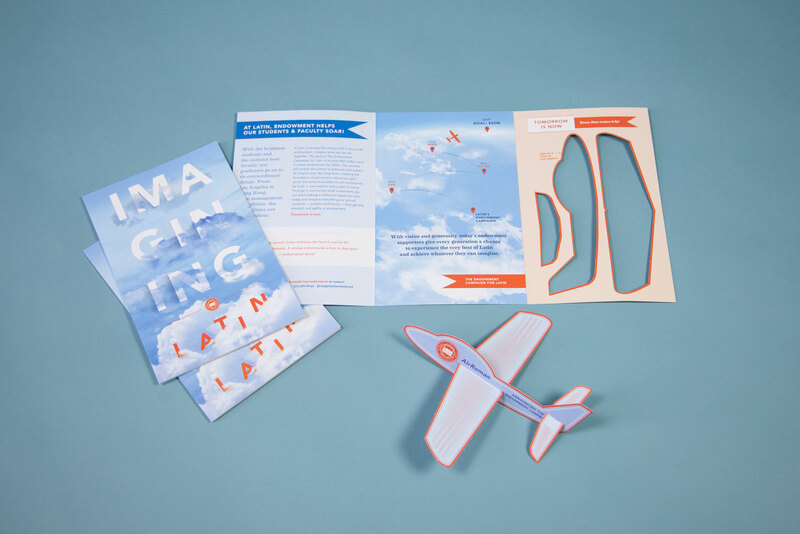 To help achieve its vision, Latin needed a suite of materials that would both inform its community about the campaign and inspire action. 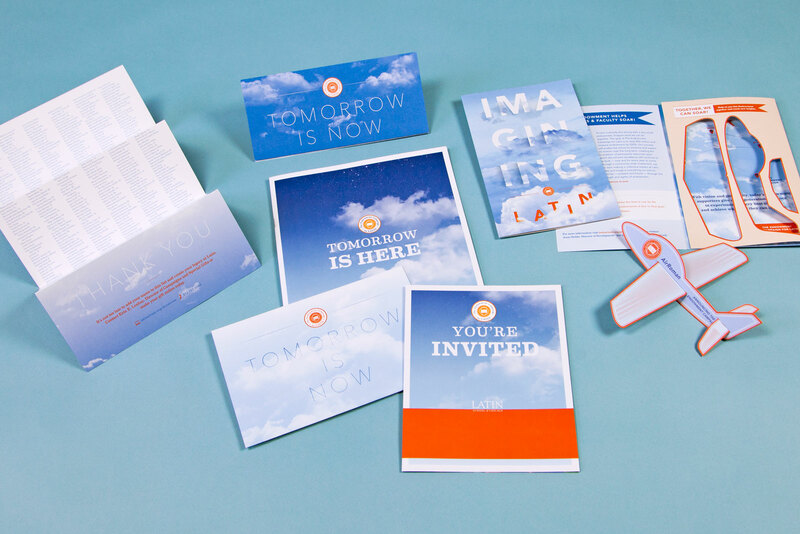 Bark’s communication plan included a series of pieces written with the future in mind and focused on the Latin experience. 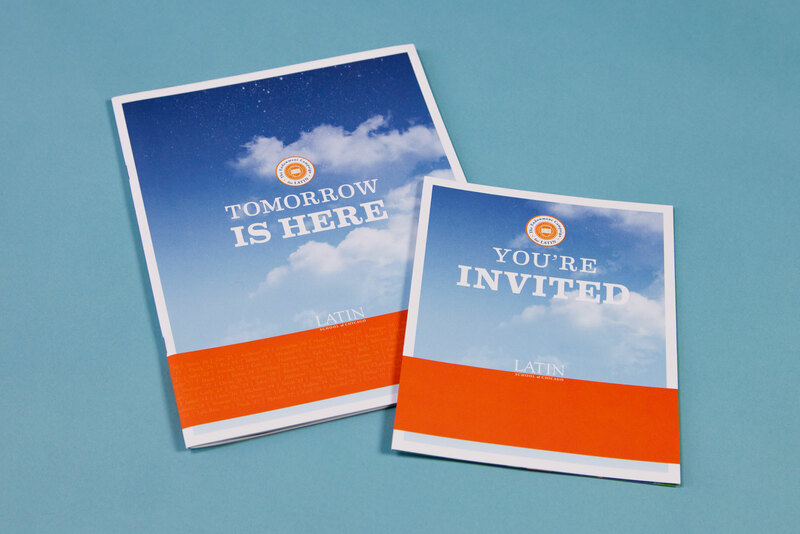 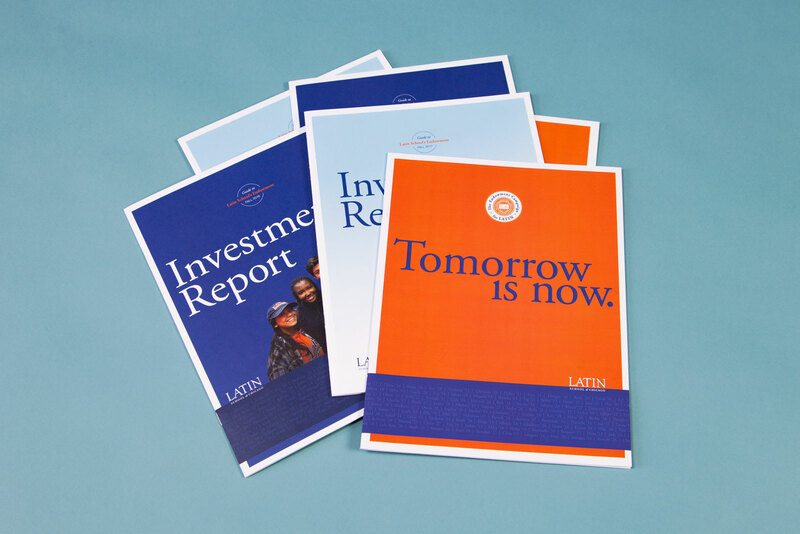 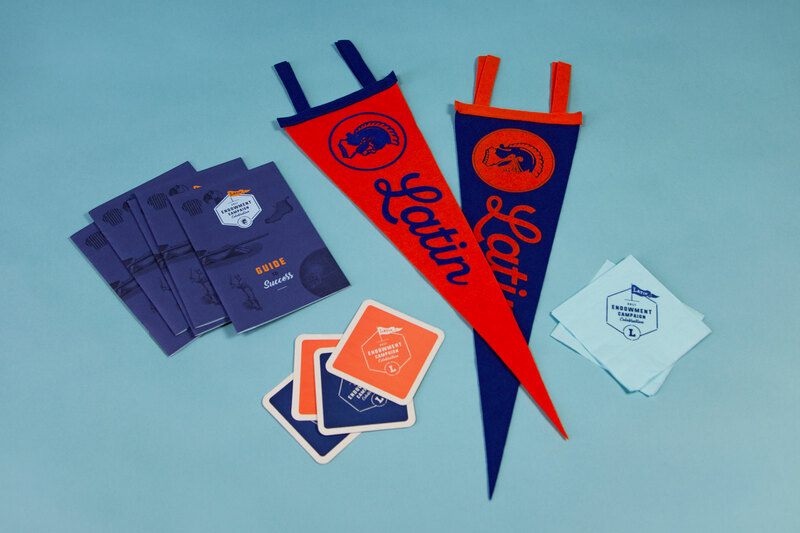 Using Latin’s distinctive brand colors, the suite included direct mail, brochures, email, and letters that were designed around a single theme and delivered in imaginative ways to keep the reader engaged. 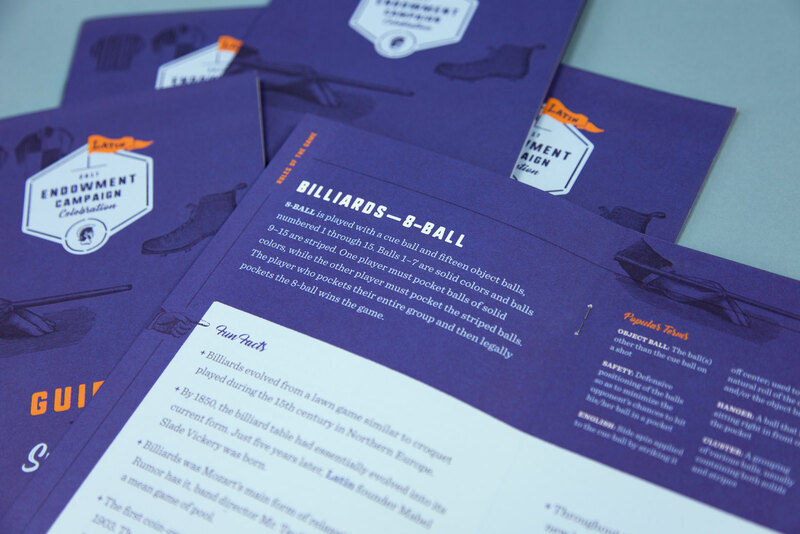 The materials succeeded in building excitement and maintaining momentum throughout the months-long campaign. 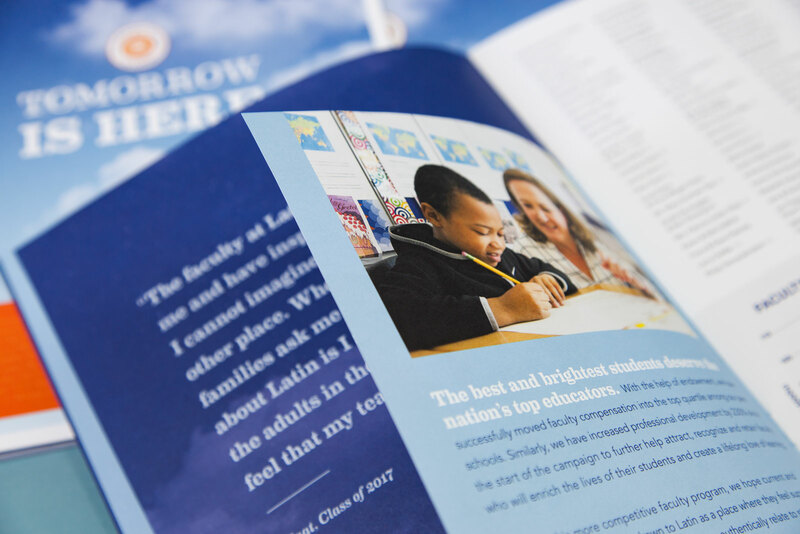 The messaging, “Tomorrow is now,” led the private phase of the endowment campaign, and the excitement of “Imagining Latin” helped the public phase take flight. 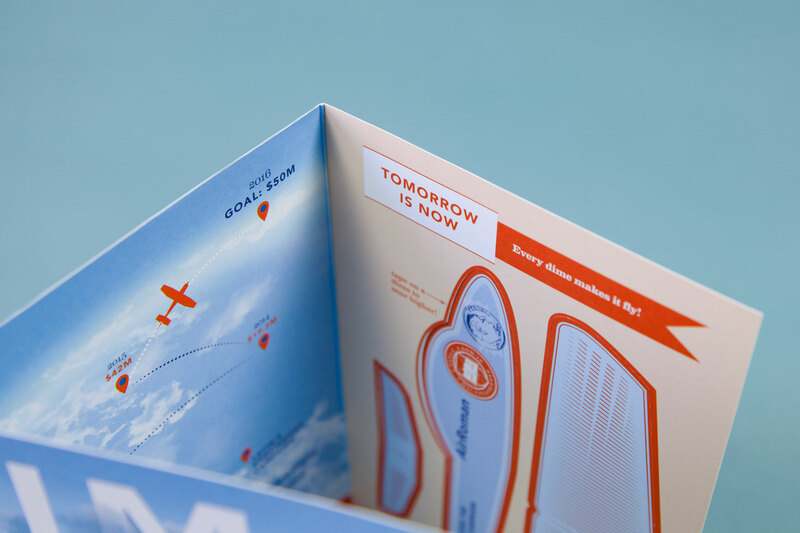 Bark wanted to create a piece that people would remember and keep. 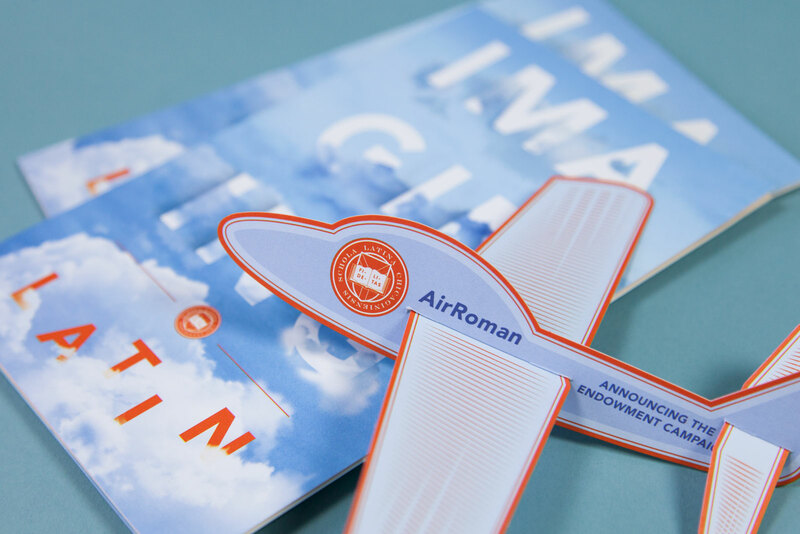 The self-mailer design included a die-cut airplane announcing the campaign and encouraged recipients to interact with the piece beyond simply reading the written text. 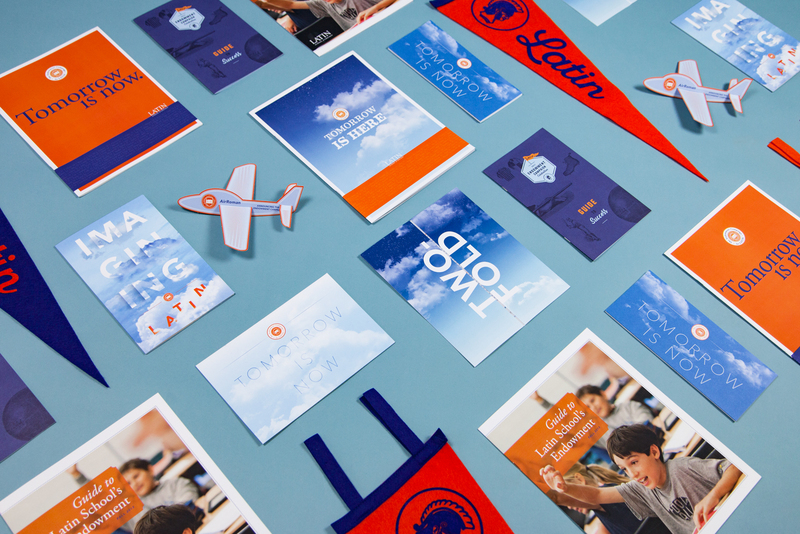 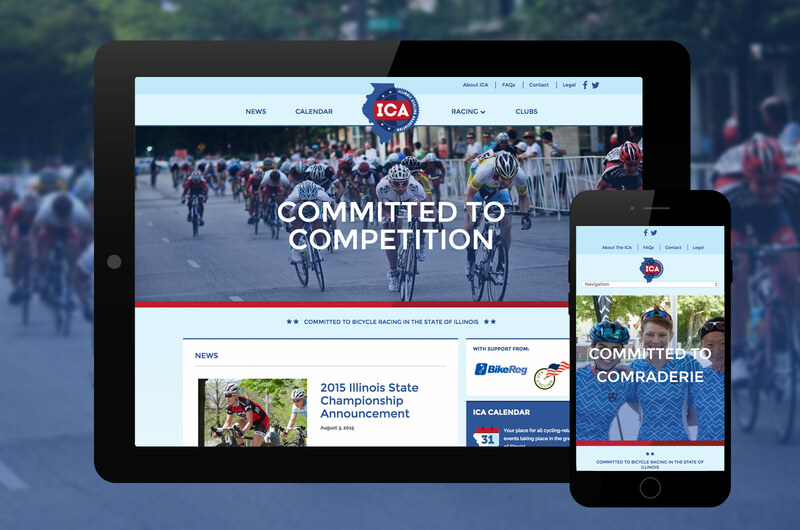 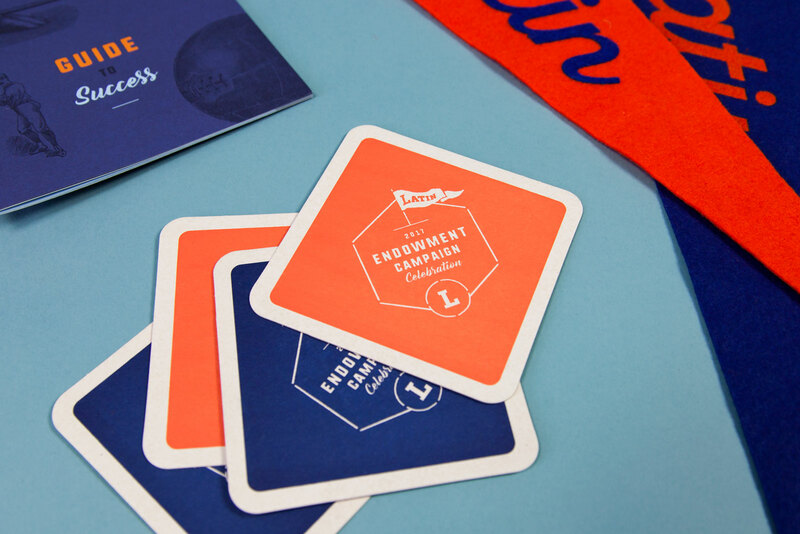 By increasing the user engagement and fun factor, recipients made a positive brand connection to Latin and the key message, “Together, we can soar!” was delivered in a memorable and unexpected way. 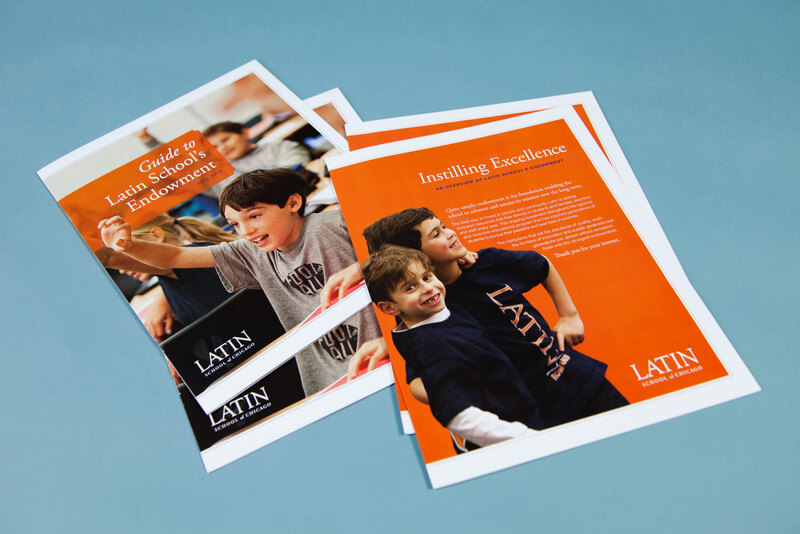 Latin’s endowment efforts were often combined with other yearly fundraising initiatives—with equal importance placed on both. 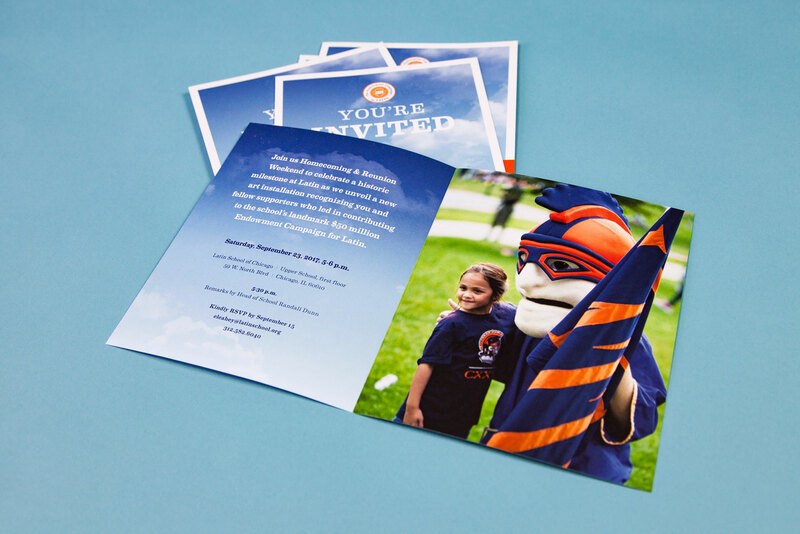 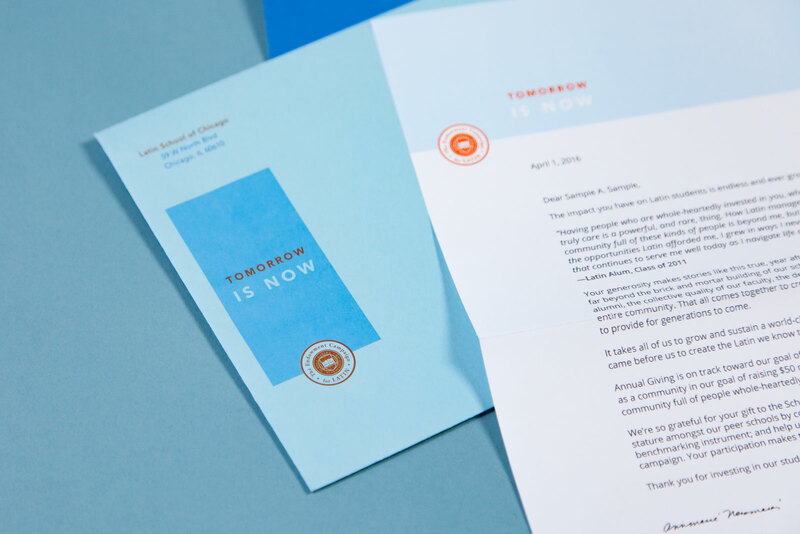 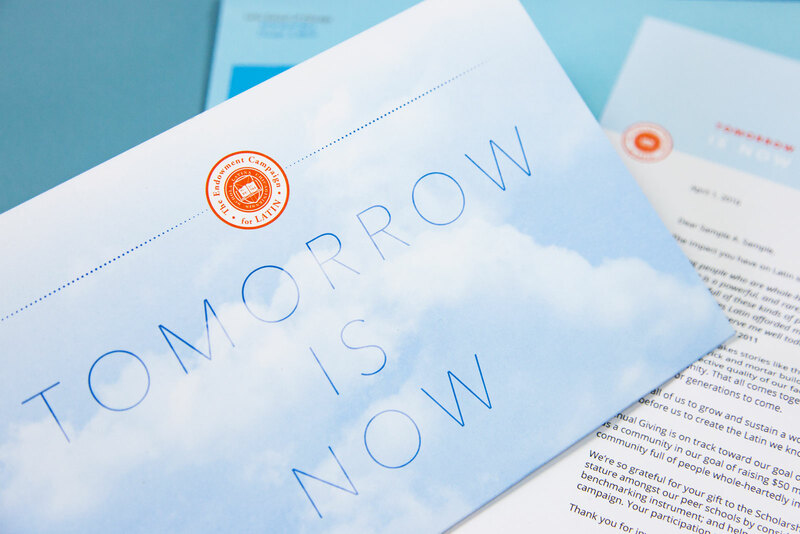 Direct mail pieces such as, “Imagine if Your Giving Was Two-Fold,” clearly conveyed the importance of maintaining current giving, while supporting the endowment campaign. 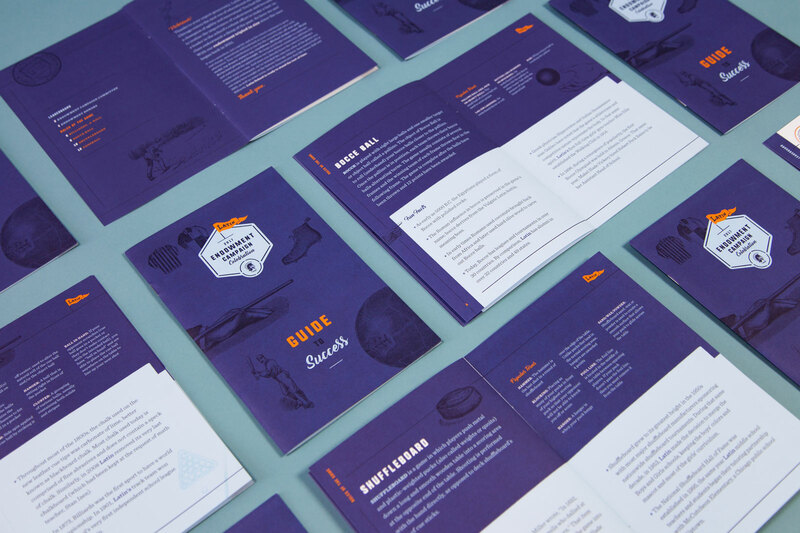 Using color to distinguish them, two versions of the private phase materials were developed. 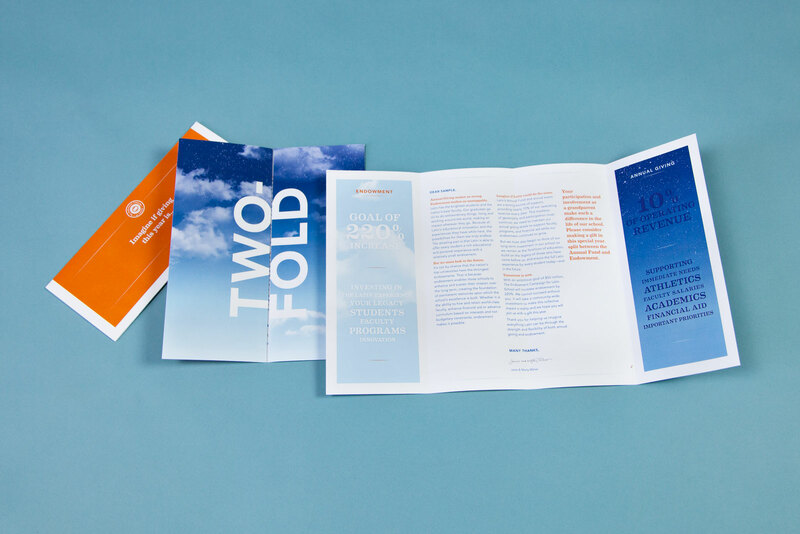 One contained primarily financial statistics for the campaign and the other was a comprehensive overview of the campaign. 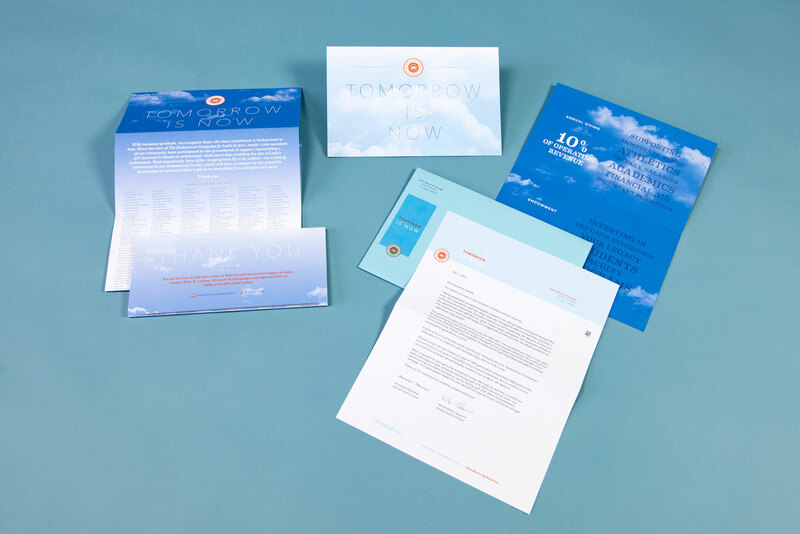 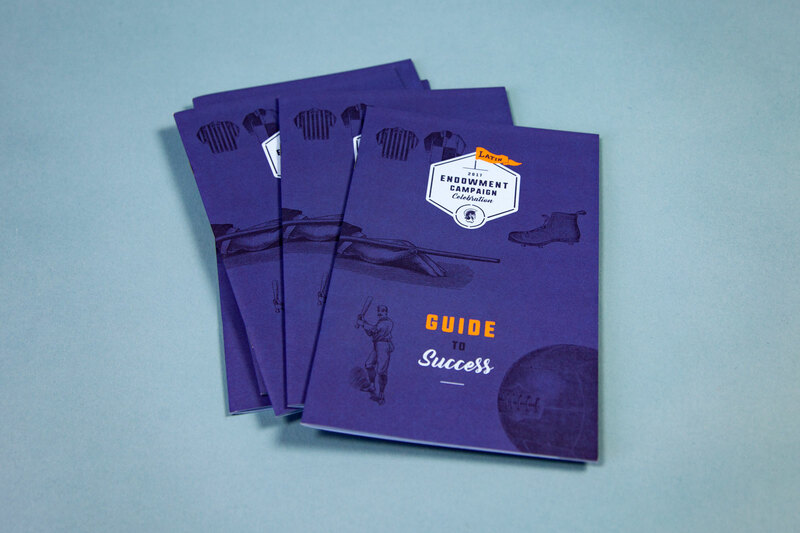 As the financial information would change as the endowment campaign progressed, we selected digital printing for flexibility and speed to delivery.